Playtech holds the Marvel license for slot machines, and Elektra is one of the many games in Vegas slots style that the company has developed based on Marvel characters over the years. This one is particularly interesting because outside of comic book fandom, Elektra arguably lacks the widespread appeal of Spider-Man, Blade and others. That’s perhaps changing with Elodie Yung’s riveting performance as Elektra Natchios in the Netflix Daredevil, but it certainly wasn’t the case when Garner donned the ribbons. 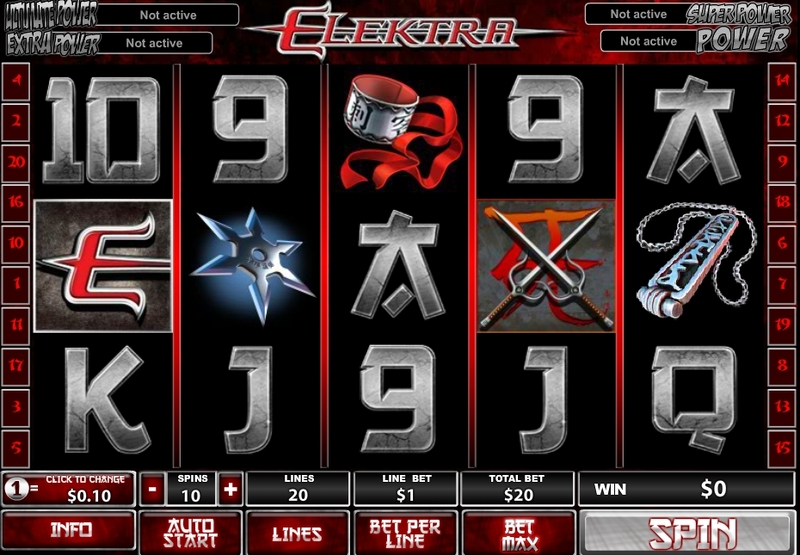 Even if you don’t know anything about Elektra, the Elektra slot machine is an interesting game with a wide range of features and even a progressive jackpot. The game has five spinning reels and 20 time bet lines. You can choose how many lines to activate per spin, and since the coin sizes range from 0.01 to 2 coins, total bet per spin ranges from 2 to 200 coins. The game also has some interactive features, such as choosing what weapon she’ll use during the bonus game. Playtech released the Elektra slot machine at about the time the Elektra movie starring Jennifer Garner premiered in theaters. Like with most of the Playtech slot games with a Marvel license that preceded the modern Marvel Cinematic Universe, Elektra borrows from various sources other than the movie. There are no movie stills here, and in fact, this game has a lot more to do with the comics than the movie. Another interesting approach that Playtech takes with Elektra, and which it didn’t with Daredevil, is that it focuses exclusively on the titular character. There are no enemies here just the various weapons and articles that Elektra uses to ply her lethal trade. For those that don’t know, that trade usually involves battling ninjas and assassinating those who deserve it. Elektra’s bracelets and her necklace are interchangeable symbols, which means that with two or more of either adjacent to each other, you’ll win, and this happens often enough to stave off long losing streaks. The Elektra logo symbol is a scatter symbol. It pays out with two or more symbols, and with three symbols or more, you’ll earn up to 14 free games and a multiplier as high as x4. These amounts aren’t random but dictated by your choice of weapon: sais, shuriken or crossbow. 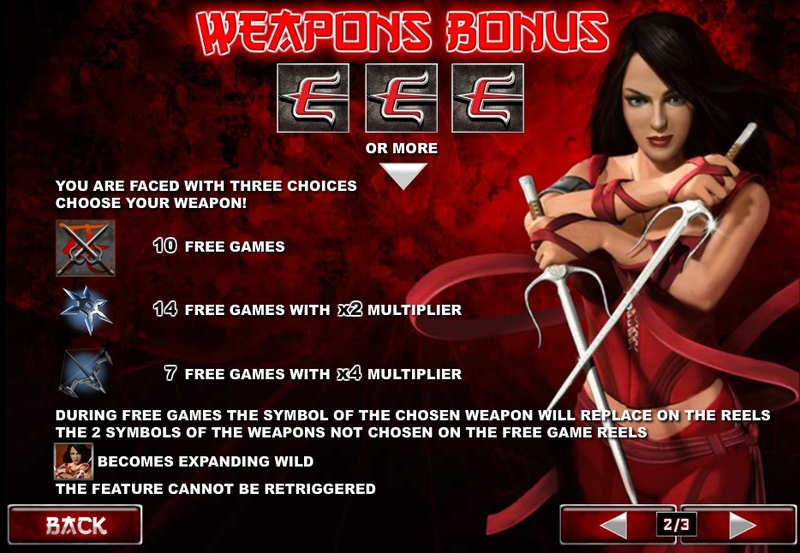 The weapon you choose is removed from the board, so if you choose the shuriken, which provides 14 games at a x2 multiplier, then the any-of-a-kind feature is not in play during free games. Elektra herself is the wild symbol. 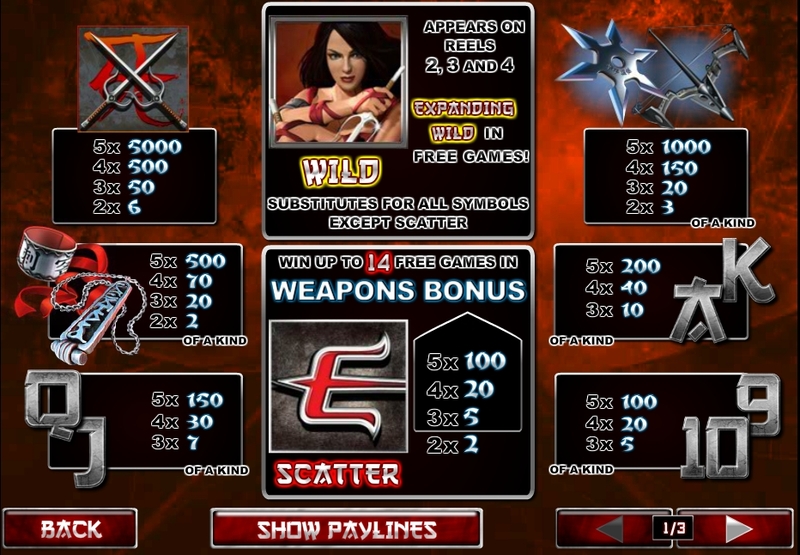 She appears on the second, third and fourth reel and turns into an expanding wild during free spins. The expanding feature means that the entire reel becomes wild. 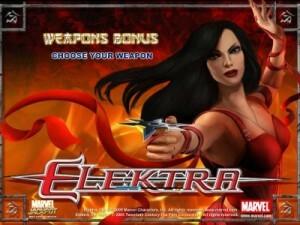 Elektra slot machine by Playtech, which is available at SlotsClub.com and throughout the Web, is a fun Marvel slot game and an enjoyable slot experience in general. 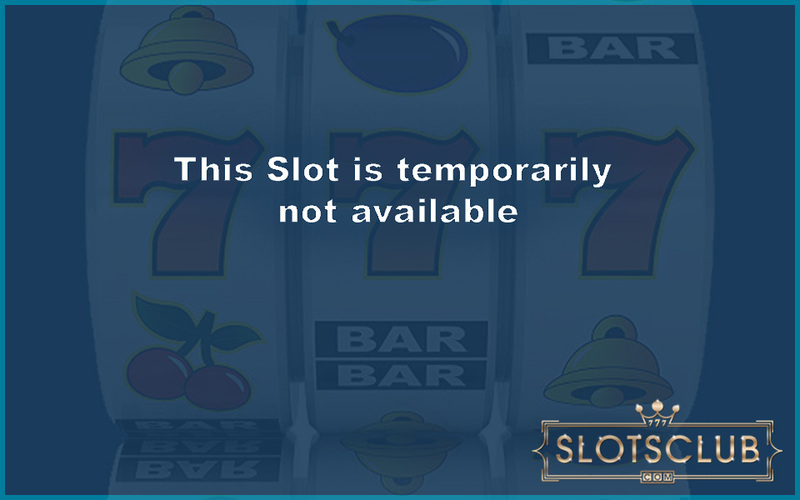 An added benefit of playing this game is that it’s part of the Marvel progressive network, which means that you can win one of four progressive pots on any spin. The big pot can exceed a million, so that’s exciting. Elektra is also one of the better free online slots available. The progressive jackpots aren’t active of course, but everything else is. In either free or real money mode, some of the aspects that set this game apart are its music, sound effects, art aesthetic and animated reels. It also has a fast pace and an Auto Start mode that makes this a perfect choice for kicking back and relaxing with a chance to win big.